Aunie Sauce: Like a Kid. Let me tell you the story of my new little man, Dobby. and the time finally came to get everything together and get the little guy. Black Friday. Yes. We were lucky. off my new beardie's home. Score. "Hello little man! Are you excited to come home with me today?" It was then that I noticed the big SOLD sign taped to his terrarium. I thought, "No! This can't be! He can't be sold already!" with a purchase date of December 2nd sitting on top of it. The day before we went to get him, he had been sold. I even ran over to one of the store's employee's and asked if there had been a mistake. She assured me that their baby beardie had been sold. I sulked back to Daniel and informed him of the news. He tried to cheer me up by saying they should be getting a new one in a few weeks. we finished picking out some terrarium decor, light timers, and crickets. Then, Daniel told the store clerk, "We're also here to pick up the bearded dragon." "He's kidding. We didn't buy it. That is someone else's beardie." 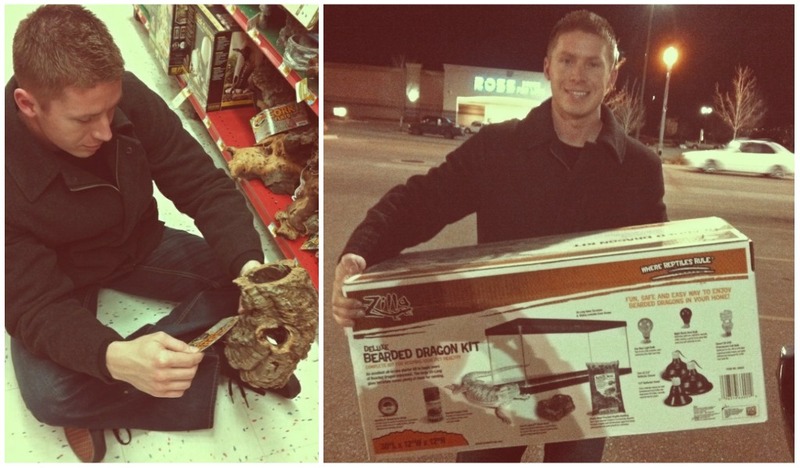 I thought Daniel was trying to be silly and steal that sold dragon! "Merry early Christmas! He is yours!" and gave him the biggest hug ever. 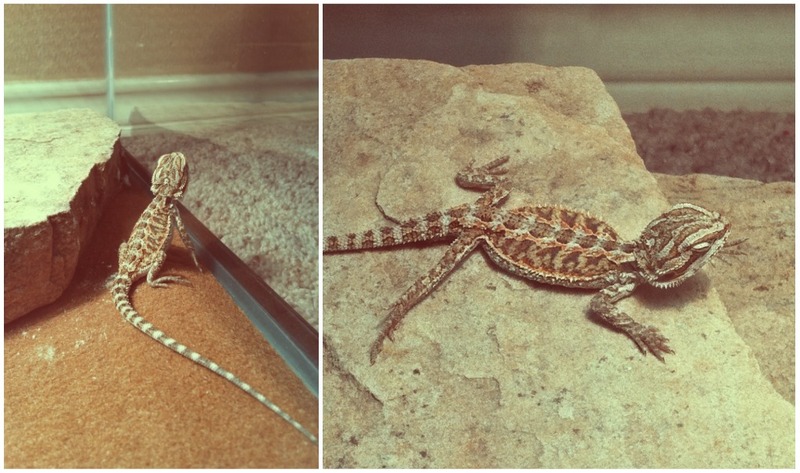 were looking for baby beardies and the one we got was the only baby Zamzows had. So he called them the day before and paid for him over the phone. He totally surprised me with a great present and his sweet heart. Oooh I love your adorable dragon! Though I am still highly uncomfortable about how big he will someday be :) Great story and such a wonderful way to kick off the holidays! Yay, you got him. I was worried when I read that he was sold. awww cutest story ever!!!!!!!!! daniel is so cute! I am so happy you got your little guy. Daniel is a good guy with a big heart! You take care of that little man and bring him over to see me. I miss his little face already! Enjoy!!! Aww what a cute story!! SO sweet! I'm visiting from Awesomely Awkward, and will be your newest follower soon very shortly! Aunie, I didn't realize that you adopted Dobby so recently! Oh, my gosh! How fun! Daniel did GOOD with that surprise! I have to be honest. 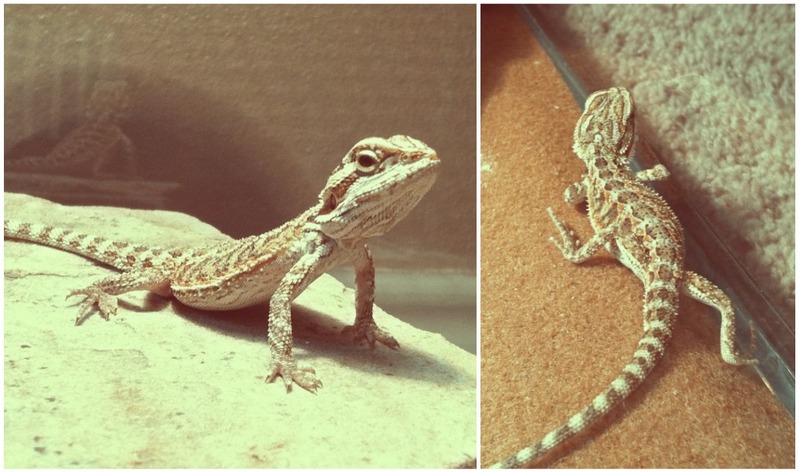 Reptiles really scare me, but all of your pictures of Dobby look so sweet. Maybe he's the magic reptile that is turning things around for me! Thanks for sharing this post in the comment. It's cute to see pictures of your little family and read your excitement!